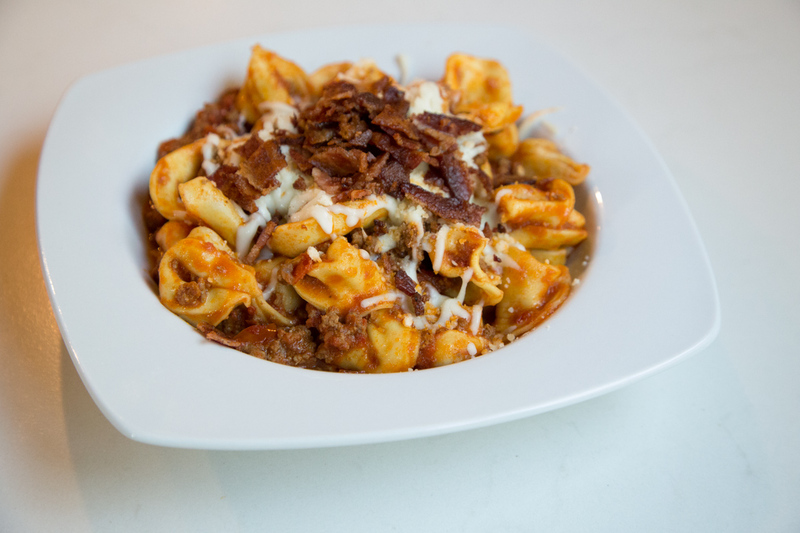 This pile of cheeseburger tortellini with bacon on top is going to knock your socks off! There’s a hint of vinegar and mustard in the tomato sauce, to give it a touch of ketchup flavor…but it’s not the full ketchup flavor…just enough to balance the burger and the cheese and the bacon flavor combo. And seriously, pasta and cheese. That alone will knock your socks off, but mix in all these other lovely flavors and you’ve got your new family favorite weeknight supper ready to go. It’s a fast “skillet supper,” and if you don’t have a large enough skillet, just use a heavy saucepan or Dutch oven instead. And if for some crazy reason you want to skip the bacon (?!?!?! ), then here’s the baconless version – Cheeseburger Tortellini Skillet!